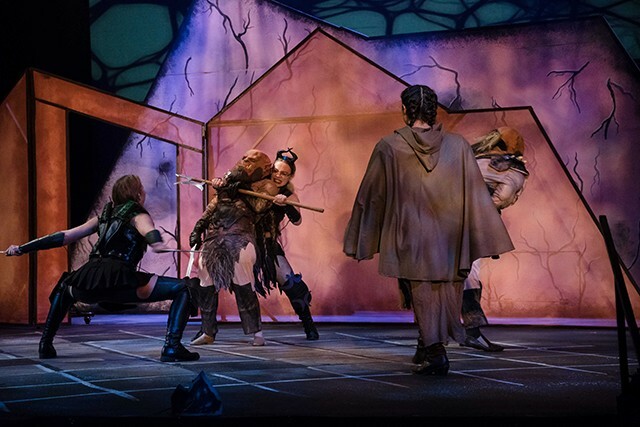 On April 18, D&D enthusiasts and fantasy-loving theatergoers will get to see the University of Pittsburgh’s Department of Theatre Arts production She Kills Monsters at the August Wilson African American Cultural Center, a play that was originally staged at Pitt last October. It’s presented as part of the Pittsburgh Cultural Trust’s Multiple Choice Events series, launched to engage more diverse audiences with “innovative, edgy” programming. 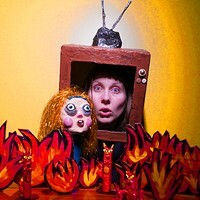 She Kills Monsters will be followed by an after-party with the Special Knights of the Arcade at Arcade Comedy Theater. Written by playwright and fight director Qui Nguyen, She Kills Monsters follows Agnes, a woman who leaves her small hometown in Ohio after the death of her teenage sister, Tilly. But when she finds Tilly’s D&D notebook, she enlists the help of a “dungeon master” and embarks on a journey into the imaginary world that served as her late sister’s refuge. 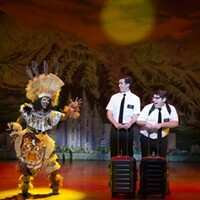 The play features eight fight scenes, pitting the protagonists against all kinds of monsters along with the fantasy-inspired costumes and set design that come with it. Because Vila-Roger and Trumbull had never directed fight scenes, they enlisted the help of a choreographer to train the student performers, most of whom had never done stage combat before. They also worked with designers to creatively depict how the game impacts Agnes. But while the play revels in the fun, escapist aspects of role-playing games, it also explores some of the more toxic elements familiar to the culture. Despite being written by a D&D fan, Vila-Roger believes it should still appeal to those without a “working knowledge” of the hugely popular role-playing game. “I think the people who are purists and really love it, we really try to stay true to the world, but for those who don’t know anything about it, they are getting information because of our lead character,” says Vila-Roger.